Obituary for Paul W. Dietrichs | Cromes-Edwards Funeral Home & Crematory, Inc.
PAUL W. DIETRICHS, 52, of Cincinnati passed away Tuesday, April 2, 2019 at 10:11 AM at Drake Hospital-Vitas Hospice Unit in Cincinnati. He was born on December 8, 1966 in Zweibrucken, Germany, the son of William H. Dietrichs and Paula Zimmerman. He is survived by one daughter, Heather Myers of Oakland, Iowa; two grandchildren and one brother, Kevin Dietrichs of Guam. Mr. Dietrichs was employed by Fresh Market in Cincinnati as a restaurant manager. 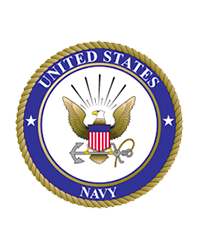 He proudly served in the United States Navy from 1985-1989. Paul had an associate degree in Hospitality Management.